The Intermec IA36A RFID antennas. The IA36A offers a variety of gain, polarization and radiation pattern options. This antenna is specifically designed for vehicle mount applications where shock and vibration can far exceed the specifications of antennas designed for fixed applications. Its pulltruded fiberglass radome makes it one of the toughest antennas on the market. 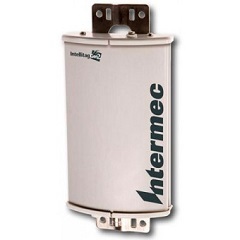 Joining the diversified line of RFID readers are the Intermec RFID antennas. The RFID antenna family offers a variety of gain, polarization and radiation pattern options. This antenna is specifically designed for vehicle mount applications where shock and vibration can far exceed the specifications of antennas designed for fixed applications. Its pulltruded fiberglass radome makes it one of the toughest antennas on the market.